New Interview with Marvel/Star Wars Writer Adam Bray! How did you first get approached to write guides for Star Wars and Marvel? 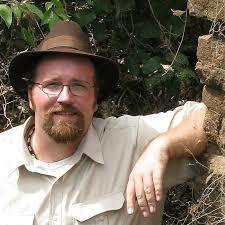 I started out as a travel writer. I contributed to about 40 travel guides and I also wrote articles for media outlets like CNN, National Geographic and the BBC, as well as lots of airlines and lifestyle magazines. One of the publishers I worked with was DK, who publishes most of my Star Wars and Marvel books now. After I came back to the US from living in Southeast Asia, I approached DK and inquired about the possibility of writing their Star Wars books. What did you pitch to them or how did you first get their attention? In licensed publishing (books about a franchise or intellectual property that belongs to another company), the reference books (encyclopedias, trivia guides, guides to movies and TV shows, making-of and art books, etc.) and even novels and story books are usually pre-chosen by the publisher and licensor. They meet with companies like Marvel or Lucasfilm and get them approved before selecting a writer. So, I actually haven’t had to pitch anything myself. So because you had made yourself known with DK and put yourself out there they presented you with your job. 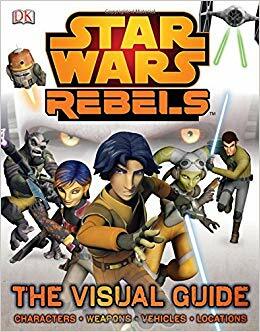 What was the first book you got and can you tell us how you’ve changed as a writer of travel guides to Star Wars and Marvel guides over time? Yes. 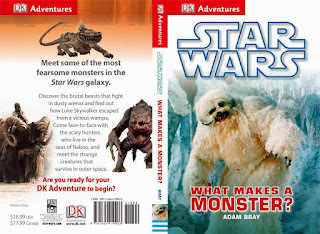 My first DK Star Wars book was “What Makes a Monster?” I think that I’ve become more confident and versatile as a writer, and have become a better writer overall. Really many of the skills I began to learn while writing papers in college are the same skills I use now. Like anything in life, the more we practice a skill, the better we get. In terms of Star Wars and Marvel, the more I work with the material, the more I know, so hopefully each book I write is successively more insightful. I assume one change has been the ability to streamline, if not speed up the process or at least getting things done? Yes, definitely! I learn how to manage my time better as a I go, not only to work faster, but also to be more realistic about how much work I can get done in a certain amount of time without stressing myself out. Are books like these laid out before you get to write or do you write and they lay out the book to match your writing or is the process a hybrid? Most of my books have been written for DK, and they are very visual books. Thus, they usually lay out each page with images first, and then send them to me, so I can fill in all the text. The exceptions are the “Ultimate” encyclopedias, which I can write without actually seeing the images (until near the end of the process). Other exceptions are “Young Reader” books, which are more story-driven, and the “Absolutely Everything You Need to Know” books, which are trivia-based. For those, I actually write up to 50% more text that never gets used. That way the publisher can choose the trivia that they can best match with graphics and photos to illustrate it. How often do you have trivia gems or “babies” that you have to give up in editing? Are there any examples you can give? There’s a little of that with every book. But after writing so many, I expect that and I’ve learned not to be precious about the text. In a practical sense, I’m writing to make the editors and licensors happy, and they want to make the readers happy, so a professional writer creating licensed content has to keep all that in mind, and worry about pleasing others rather than pleasing themselves. Most of what gets cut is actually due to images getting changed as the book comes together—so it’s mostly captions and image annotations. Do you get to decide any content for the book? (Who decides what goes in and not, do you get to research and say this is interesting? For most of my books, the outline has already been written by the publisher and the licensor (Marvel or Lucasfilm). But occasionally I do get to write the outlines myself, so then I get to decide just about everything that goes in the book, subject to the approval of the publisher and licensor. Once the outline is established, I decide what text gets written on each page. In some books I also suggest which images to use, but sometimes those images aren’t available so they use something else. So do you ever find yourself spending a lot of time searching for images online or do you get resources or databases that are not available to us to search? Or by suggesting images do you mean that you say “we need an image of Rocket here laughing” and they find that image for you? Mostly it’s the latter. On some projects it’s easier for the editors to incorporate those suggestions. When writing about very new or upcoming films and TV shows, it can be more challenging. From Start to finish how much time GENERALLY do you get? On average, I spend about 2 months writing a book. The shortest I’ve spent on a licensed book is 3 weeks. The longest is almost 2 years (but I took a few breaks for a month or two each time while I waited for relevant movies or TV shows to come out). Do you have a writing golden time? I’m a night owl rather than a morning person, so I prefer to write late in the day or in the evening. But writers should never fall for the myth of “waiting for inspiration to write.” That’s not how professional writers work. We have a deadline and we write whether we feel like it or not. Sometimes inspiration comes along the way. It can also feel mechanical, but an experienced writer will turn out decent text regardless. Writing reference books for licensed properties requires a very specific work process that is unlike writing novels, comics or articles. I first determine how many pages/spreads/words I need to write per day and map out a schedule. Most of my books lately are visually-oriented, so I create a text template based on the example pages I have, with images already in place. Then I begin to fill in the bits of text, writing to the word counts for each section. I don’t have long to refine the text. I may turn it in at the end of the week—or even send what I’ve written at the end of each day. So word count is key, in my experience the skill of being able to get the point across in the fewest amount of words, while at the same time being informative and fun is quite the challenge. Any tips for people who find this particularly challenging? Indeed! Twitter is a great way to practice that skill, but it is not as great for that as it once was—since they lengthened the number of characters per tweet. But a good writer knows how to make the most out of a limited word count, so choosing your words carefully is very important when you only have a short word count. You learn how to cut out all the unnecessary words to say the same thing-or even say something better. Even so, you can practice on your own by writing a paragraph, and then trying to make it as short as possible by both cutting out unnecessary words and using words with fewer letters, but still get the same point across. Do you spend a certain time of day writing vs. researching? No, the schedules are always tight, so I do it all at the same time. What about if you have multiple projects simultaneously? I’ve written as many as 3 books at the same time. But I don’t like working that way and try to avoid it. It made sense as a travel writer when covering the same geographic areas for several different projects, but not for the sort of writing I do now. Juggling things simultaneously is a matter of dividing up the hours in each day between your projects. It means no free time, no weekends, no sick days, and very little sleep! Though often writing just one book is like that too! How do you balance your process and sanity? 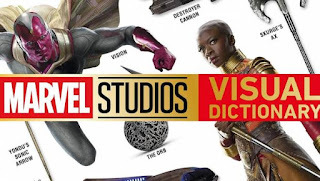 When writing these books, how often has your inner fanboy had to control itself when you learn a tidbit, or plot details about a character of film before the rest of the world that changes your view (pre-release or post) of a film, book, or series? Marvel and Lucasfilm are rather secretive about new projects, so apart from very minor little bits I learn in passing on projects, or things I might hear at a convention hotel bar, the only thing I’ve had significant advanced knowledge of is Star Wars Rebels. I knew about all of Season 1 and the return of Ahsoka a year before the public, and knew a few details that didn’t actually come into play until the very end of the series (Season 4). While I was so excited that I felt like I would explode, I found it wasn’t all that hard to keep secrets. Getting to work on these things is joy enough. Licensed books (like tie in situations) authors tend to be paid a flat fee. 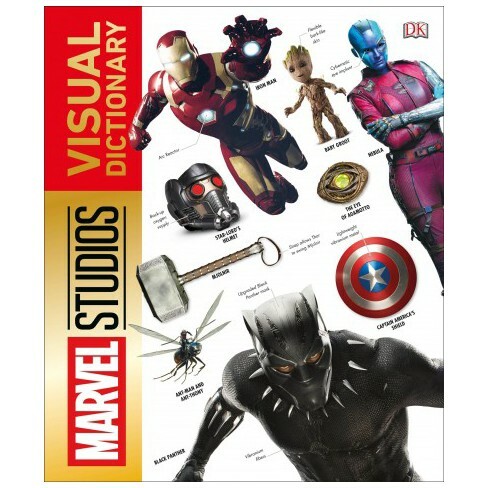 Adam Bray's newest book Marvel Studios Visual Dictionary is available for purchase at retailers now. 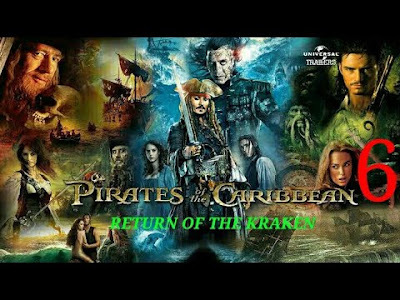 The Pirates of the Caribbean franchise has been a veritable cash cow for the Disney Corporation, in addition to revenue from merchandise and increased Disney Parks flow, the franchise has made billions in box office revenue, the breakdown of which is below. With Lasseter now gone from Disney, new management has decided to close the studio's 3rd animation studio also known as DisneyToon Studios. 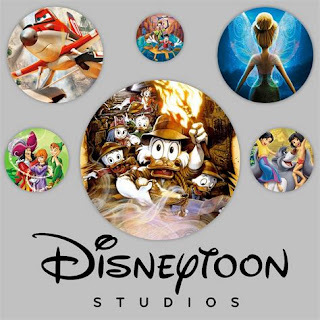 DisneyToon Studios started in 1988 as Disney MovieToons and is most famous as Disney's Direct to Video Studio (though they have had some theatrical releases such as The Ducktales Movie, The Goofy Movie, Return to Neverland, Planes, and more). Disney has announced that 75 employees will be laid off, it is unknown where the other employees will go. But regardless it is the end of an era for Disney and a studio that fans of the Disney Resurgence in the 90s, definitely known quite well. From it's first feature production DuckTales The Movie: Treasure of the Lost Lamp, til its last Tinker Bell and the Legend of the Neverbeast, it has clearly earned its place as a profitable and oft times, entertaining part of the Disney Corporation. With our ongoing Star Wars Audiodrama continuing tomorrow, with it's official newest release, I thought to talk about some of the history of the series. After Part 3, which due to many different circumstances far beyond my control, was not able to be completed in whole, my team and I were exhausted and did not want to do something as ambitious as that one again. Instead we wanted to focus on some of the side characters and have it be tangentally connected and refer to events so that we would not spoil everything if 3 actually came out (which it kind of did) but could still continue on with the story.